Off to start on another Night Train painting! 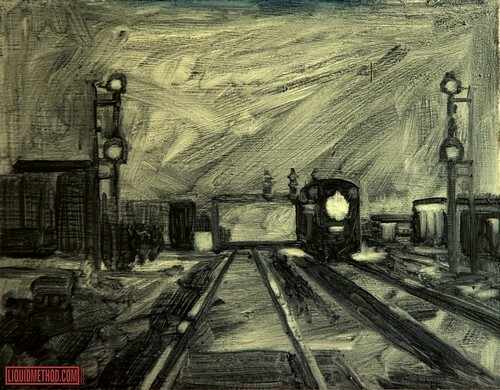 Off to start on another Night Train painting!, originally uploaded by Liquidmethod. As I started this, I felt I had got a good composition down, despite this being only 8x10 inches. I can't wait to throw down some colors on this. Masonite gessoed, Paynes Grey wash. I wish the Norfolk Southern railway ran all the way through the beach like it used to when I was a kid.